New Zealand Vintage Computer Forums • View topic - Bonus from Ben. Apple II Disk Drive. Bonus from Ben. Apple II Disk Drive. In January, some might remember a post I made about a collector (Ben) who needed to offload some gear as he was changing flats. I picked up a few parts-machines from Ben and other bits and pieces as did Jono (Spidersweb). 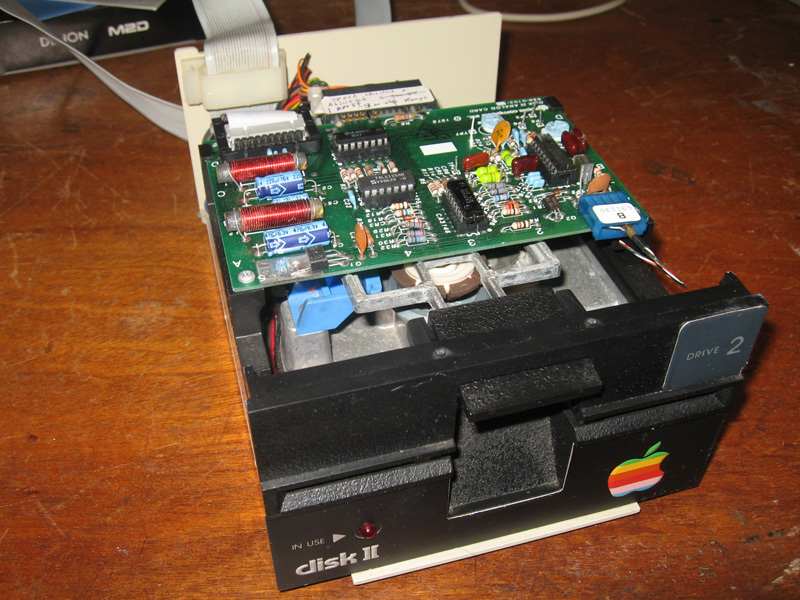 One thing Jono picked up for me was an Apple disk II drive. It's sat in the "to check" pile until now. So today I dragged it out and cleaned it up. There was a broken wire in the cable so I fixed that. I then tested it. Good as gold! Works perfectly. I'm particularly pleased with this one as it's labelled Drive 2. I've got two others labelled Drive 1. Anyway, here are some pics for those who like looking at these things. Re: Bonus from Ben. Apple II Disk Drive. Lovely... 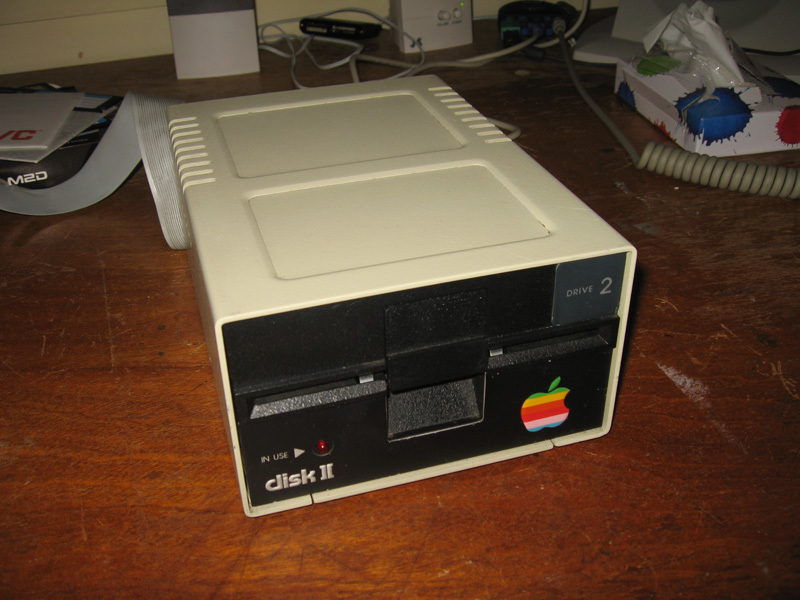 I always found the disk II one of the most elegant things about the Apple II.